Yves Béhar just unveiled the coffee shop of the future – a smartphone-controlled “Coffee Haus” that uses robotics to serve up finely tuned doses of java customized to your personal taste. 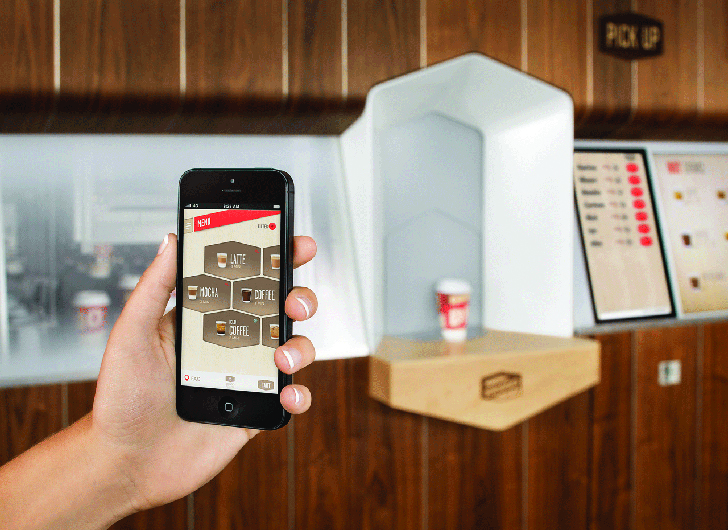 Designed and built in collaboration between Briggo and Fuseproject, the smart coffee maker allows customers to place orders using a smartphone app and then pick them up at a fully automated kiosk. Briggo and Fuseproject‘s Coffee House app is easy to use, and you can even schedule the exact time you want your coffee ready. Not only does the Coffee Haus make the perfect cup of coffee, but it also eliminates the need for queuing. Once you taste your coffee, you can submit feedback via the app or the web and keep experimenting with ingredients until you get the perfect taste. Customers can also order via the embedded touch screen. The small “house” has a cozy feel to it and it provides a table and stools for visitors. 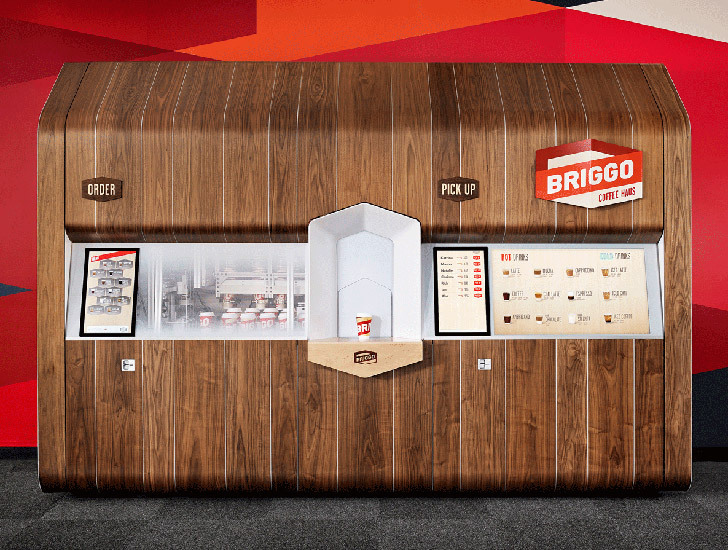 Rather than looking like a high-tech robot or a vending machine, Briggo’s Coffee Haus combines wood veneers, glass and aluminum to create a warm atmosphere that makes you think you’re in your own kitchen drinking your morning coffee. Yves Béhar just unveiled the coffee shop of the future - a smartphone-controlled "Coffee Haus" that uses robotics to serve up finely tuned doses of java customized to your personal taste. Designed and built in collaboration between Briggo and Fuseproject, the smart coffee maker allows customers to place orders using a smartphone app and then pick them up at a fully automated kiosk.